Join our worldwide team of leaders and become a certified Social Meditation Leader in this five-day comprehensive training by Chandrika. Gain the experience and confidence to lead these group activities on your own. They are an ideal way to help people to let go of stress, renew their energy, and come together with warmth, an open heart and understanding. 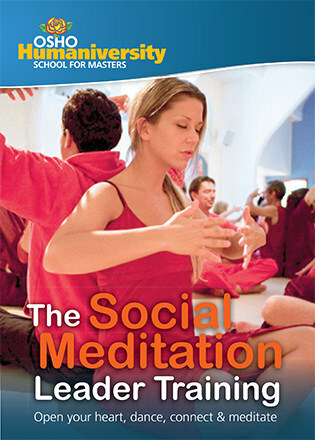 After successful completion of the training, you will be able to lead the meditations. The Social Meditations included in this training are the Love-, Dance-, Our Sacred Earth-, Friendship-, Tan-Ju-, Samasati- and Peace-Meditations.